Daniel Sutherland is a collector in the US. Check out his fantastic and comprehensive collection! 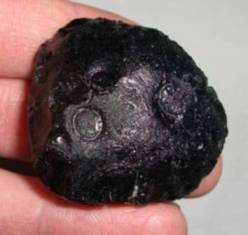 If you want to collect tektites then view this collection - you have proximal, medial and distal tektites and different etching/sculpture states. 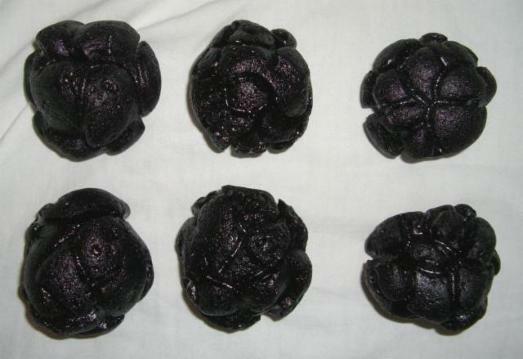 An excellent collection that accurately depicts the rain of tektites following an oblique impact. 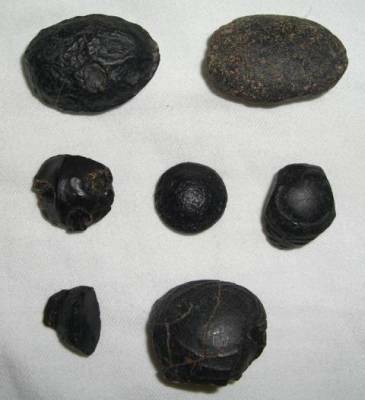 LEFT: Some spheroid specimens from Camarines Norte, Philippines. The one on the bottom right came from somewhere in Bikol Province. Author's note: Basically all these tektites are from Paracale Municipality in the Camarines Norte Province in the Bicol Region of the Philippines. RIGHT: These six specimens were also found in Camarines Norte, Philippines. 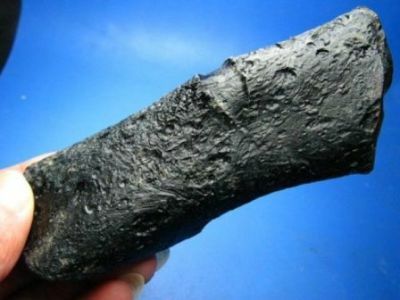 Philippinite breadcrusts are highly collectable tektites. In general one looks for a high degree of symmetry, deep grooves and no chips. Indicator forms, particularly with symmetry are also very collectable. 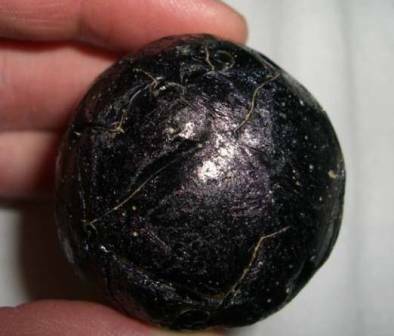 ABOVE: This 205 gram spheroid is one of my favorite Philippinites. It appears to have lost part of its shell. It’s perfect with no chips. The same specimen as above. I'd consider this specimen a breadcrust with late stage orientation. 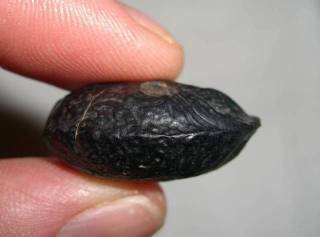 This would likely be the anterior, as it has suffered the greatest shell loss. 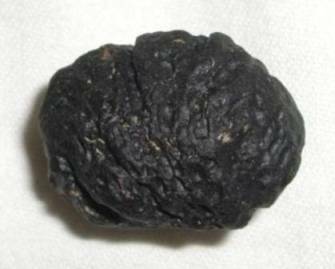 ABOVE: Here is a 215 gram unusual specimen with one very deep groove. 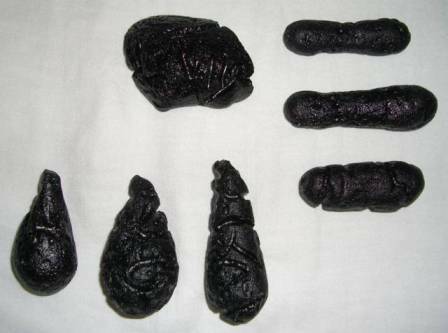 The one on the top right is hamburger shaped with a weight of 244 grams. This was my first Philippinite. 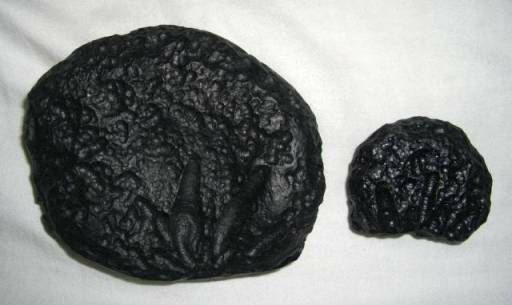 The specimen on the bottom is hamburger shaped at 220 grams. ABOVE: These specimens are from Davao, Philippines. 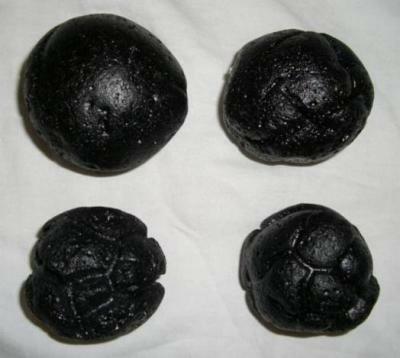 On the top left is a small sphere 43 grams. 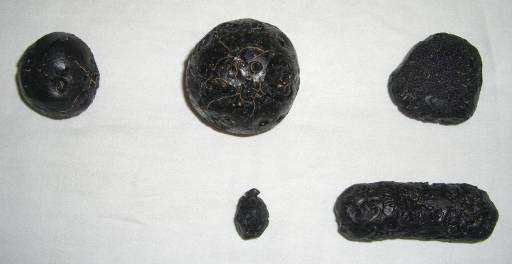 The middle specimen is sphere shaped 117 grams. 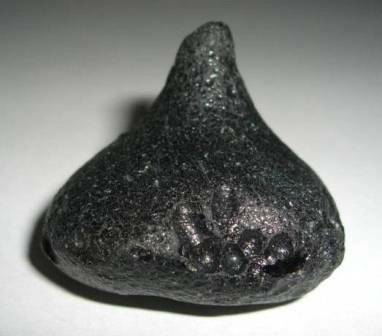 On the top right is a 41 gram core with anda or anda-like sculpture on the posterior surface. 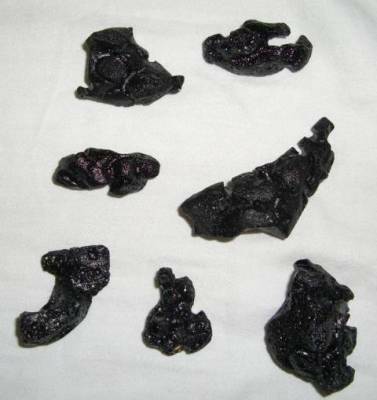 On the bottom left is 6 gram tektite with a protrusion. The dumbbell weights 51 grams with c-type etching. Philippinites from Davao sometimes have very thin grooves. 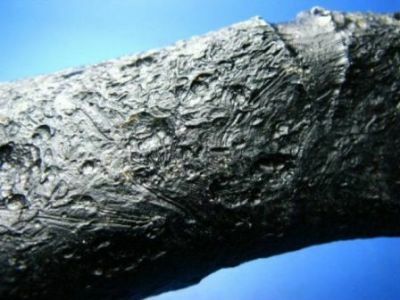 This is due to minimal etching by ground waters. 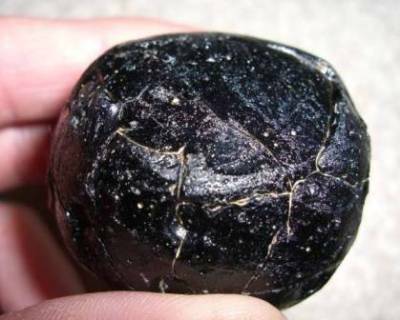 The tektite is therefore closer to the appearance when it originally fell. ABOVE: These two images are a 117 gram specimen from Davao. 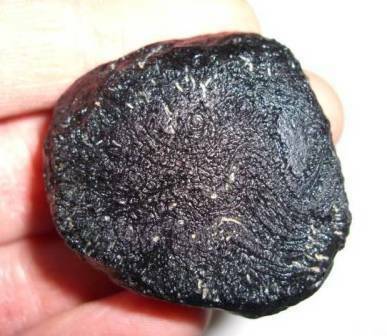 ABOVE: This is the same 41 gram Davao core from the photo above. A view of the posterior surface, side view and anterior surface. ABOVE: Here are some of my sculpted specimens from Camarines Norte, Philippines. 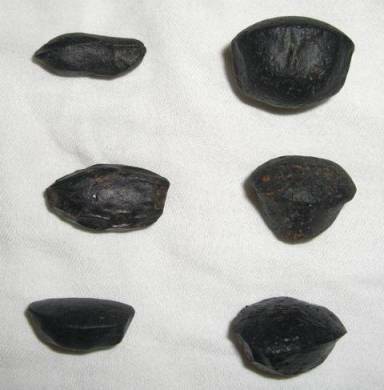 ABOVE: Top left: A 31 gram shell fragment from Camarines Norte, Philippines. Right: some small dumbbells recovered from Camarines Norte, Philippines. Bottom: The smooth tear drop was formerly a part of the Darryl Futrell collection. The two dumbbells on the right were found in Camarines Norte, Philippines. 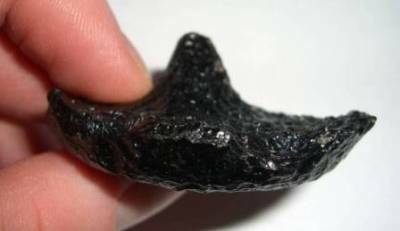 ABOVE: Another view of the glossy 31 gram shell fragment. ABOVE: Some Australite specimens from Finke, Northern Territory, Australia. On the first row to the right is a 12 gram nice pie shaped core. 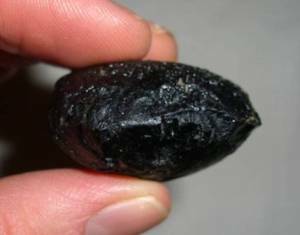 The oval core on the bottom left was found near Lake Yindalgooda east of Kalgoorlie, Western Australia. 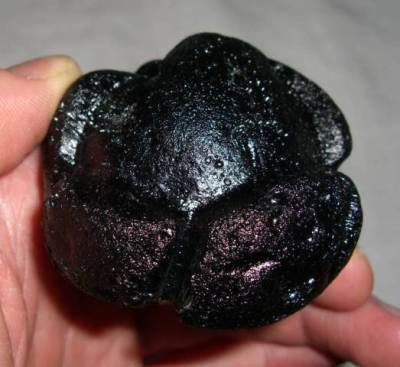 This oval core weights 4.9 grams, has very sharp features and is very glossy. ABOVE: All of these Australites were found near Finke, Northern Territory, Australia, except for the lens specimen in the middle on the second row and the section of a flanged button. The middle specimen on the second row (lens 1.7 grams) was formerly a part of the Darryl Futrell collection. 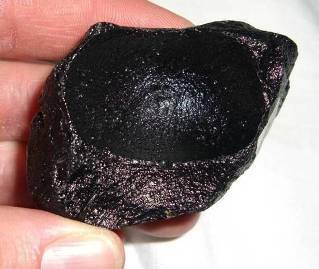 This lens was featured on www.Meteorite-Times.com as tektite of the month. 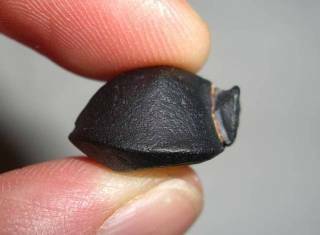 The section of flanged button on the left was found near Lake Yindalgooda east of Kalgoorlie, Australia. 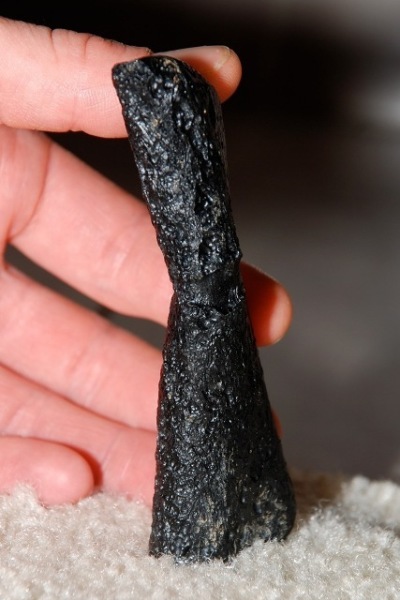 ABOVE: This 8 gram core is my favorite. ABOVE: 4 gram round core indicator from Finke, Northern Territory, Australia. 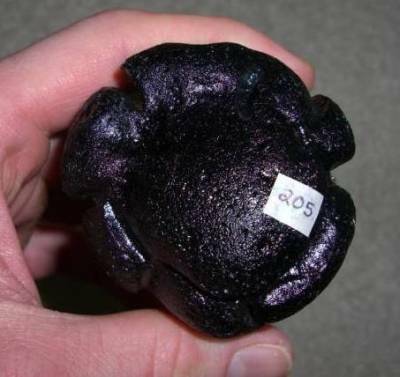 ABOVE: 1.6 gram Australite dumbbell from Port Campbell, Victoria, Australia. 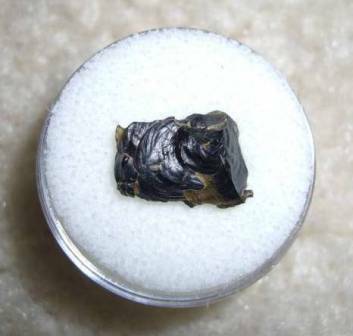 ABOVE: 7.2 gram Bediasite found in Fayette County, Texas during the 1960’s. This Bediasite was formally apart of the Darryl Futrell collection. ABOVE: 27 gram highly splattered teardrop from Khon Kaen Province, Thailand. 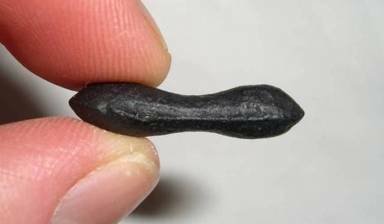 ABOVE: 44.7 gram bulbous teardrop from Maoming, Guangdong Province, China, shows plastic flattening. ABOVE: Here are two patty shaped Thailandites with starburst impact features (open radial cracks). The large patty to the left weights 188 grams, exact origins unknown. 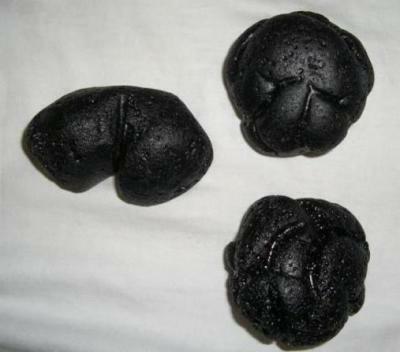 The patty or biscuit to the right weights 32 grams and was found in Khon Kaen Province, Thailand. Javaites are hard to come by these days. Many were found by Gustav Heinrich Ralph von Koenigswald during his research of Java Man. ABOVE: Saving the best to last. 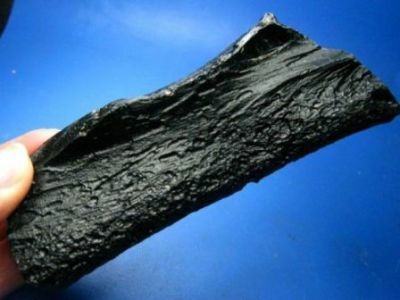 A 95 gram stretched lei gong mo from Zhanjiang, Guangdong Province, China.